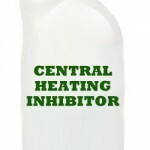 If you are the owner of an older boiler, you may or may not be familiar with the pilot light. 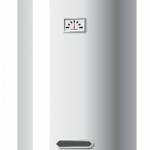 It’s an important part of the boiler system, and as such, if it goes out it is not uncommon to be at a loss as to what to do. This article will help you understand what a pilot light is and steps you need to take if it is not working properly or not working at all. The pilot light is an important component of all older furnaces and boilers. 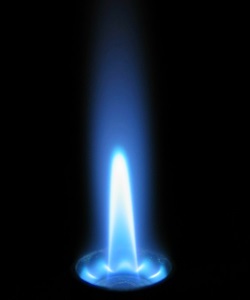 The pilot light is the flame that lights the gas provided by the main burner. A small amount of gas is constantly released from the gas pipe, meaning that the flame lights the gas and it permanently burns. However, if the pilot light goes out, the gas will still be released from the pipe and this build-up of gas is obviously very dangerous. For this reason, a valve in the pilot light tube contains a sensor that knows if the light is lit or not, cutting the gas to the pilot light if the flame is out. Turn the gas control valve off; check other appliances to see the status of their pilot lights. If they are out, turn their gas control valves off too. 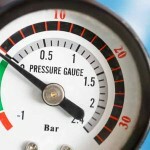 Wait for the gas fumes to dissipate; this can take between 5-10 minutes. Once you are sure the gas has gone, remove the cover or open the door to the furnace or appliance. Locate the pilot light – you may need to use a torch for this. Light a match, hold it next to the pilot light tube and turn the gas control knob to ‘pilot’. Press the reset switch and light the tube. You will need to hold the switch down for one minute after the flame has been ignited. If at first the pilot light does not re-ignite, repeat the steps once or twice more. If this is still unsuccessful, contact a plumber and arrange for them to visit you. At VHL, we pride ourselves on our commitment to first rate service and workmanship on boilers of all makes, models and ages. Our heating engineers are highly skilled and experienced in the installation, maintenance, repair and servicing of boilers and central heating systems, and our 24/7, year round call out service means that we can be with you even at short notice. 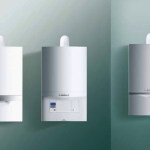 If you’d like to know more about our boiler services or anything else we can offer you, get in touch today and we’ll be happy to help.